On Tuesday, Microsoft(s msft) is launching a new app for Windows Phone handsets to help Xbox 360 owners navigate their game console. The free Xbox Companion app uses Bing to search for content and turns the smartphone into a wireless remote control for media playback and content purchase transactions. The new mobile phone software continues Microsoft’s strategy to unify and extend its ecosystem. No other smartphone platform has such a direct link to a video game console: One of Windows Phone’s key differentiators is the tie-in it has with the Xbox platform. This new app brings tighter integration, and it also demonstrates how Microsoft is betting big on its Metro user interface on all the company’s product platforms. First seen in Windows Phone in 2010, the Metro UI is the core of Microsoft’s smartphone revamp from the old Windows Mobile platform. Informational tiles, similar to widgets, and a landscape-centric view are the crux of the Metro UI. That same interface is coming to the Xbox 360 in a software update this month, and Windows 8 will feature it as well: One interface to “rule all devices,” as it were. So why is Microsoft now releasing this smartphone app? 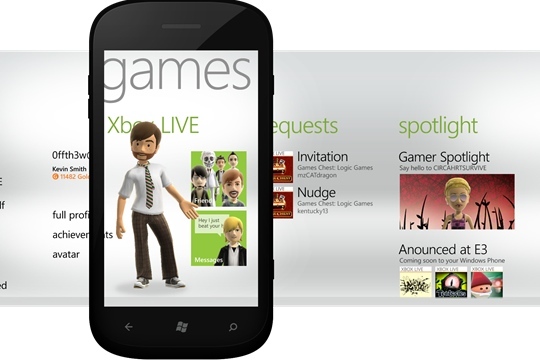 The timing is in conjunction with the company’s push to bring more music and video content to the Xbox 360 console. This month, the company will add content from dozens of partners, such as YouTube, (s goog) Crackle, the BBC, MLB.com and even Verizon FiOS(s vz)(s vod). Our GigaOM Video channel has more of the partner details here. Having used an Xbox controller to navigate through content menus, I can vouch for the clunkiness of doing so. I have a regular Xbox remote control — similar to those used with standard televisions — but I’ll be darned if I know where it is. My smartphone, however, is always with me, so the opportunity to use it as a wireless remote control is welcome. Will this integration of features and user interface help move more Windows Phone handsets? It certainly won’t hurt, but I suspect the appeal will be limited to those who have an Xbox. Put another way: Alone this feature won’t sell many more Microsoft-powered handsets. However, as Microsoft continues to weave its mobile, gaming and desktop platforms together, it does add appeal to a wider audience, which in the long run should help the Windows Phone ecosystem. RT @ted_malone: RT @gigaom: Windows Phone is an Xbox 360 video remote control http://t.co/dfESnaGT I’ve been testing this and it works great. RT @gigaom: Windows Phone is an Xbox 360 video remote control http://t.co/dfESnaGT I’ve been testing this and it works great.